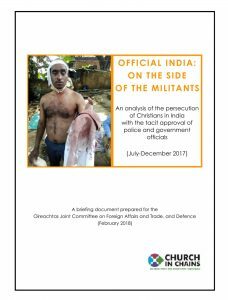 Church in Chains has published a new report titled “OFFICIAL INDIA: ON THE SIDE OF THE MILITANTS” in response to the dramatic upsurge in attacks on Christians in India by Hindu militants in the past two years – attacks that have the tacit approval of local police and government officials. The report documents a representative sample of 57 serious incidents of persecution of Christians during the period July – December 2017. This is almost certainly a gross understatement of the actual number of incidents during the period. In 2016, Indian Christian organisations reported 441 incidents, while 410 were reported in just the first six months of 2017. No effective government action has been taken to combat the attackers, protect the victims or promote religious freedom. This government inaction (at local, state and national level) has led to a climate of impunity. Local police and government officials often “turn a blind eye” – not only do they refuse to prosecute the perpetrators in many cases, but they often arrest the victims on spurious charges of “forced conversion”. The upsurge in persecution was predicted by Dr Joseph D’Souza (All India Christian Council) when he spoke at the Church in Chains national conference in 2014. He foresaw that the next five to ten years would be difficult for Indian Christians as Hindu extremists had been emboldened by the landslide election victory of the nationalist Bharatiya Janata Party and new Prime Minister Narendra Modi, and were confident of pursuing their Hindutva (Hindus only) agenda. The report, which contains recommendations for action, has been sent to the Indian Ambassador to Ireland, to Simon Coveney (Ireland’s Minister for Foreign Affairs) and to the members of the Oireachtas Joint Committee on Foreign Affairs and Trade, and Defence. The report concludes with recommendations to the Indian government, to the Irish government and to the Oireachtas Joint Committee on Foreign Affairs and Trade, and Defence. It recommends to the Indian government that Prime Minister Modi speak clearly and consistently in support of full religious freedom; that the BJP abandon its call for a national anti-conversion law; that state governors make clear that religiously motivated violence will not be tolerated; and that police stop arresting victims and ensure perpetrators are brought to justice. 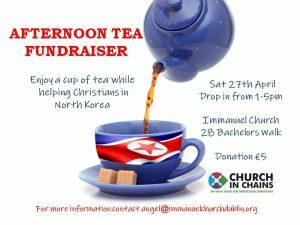 The report recommends to the Irish government that the Minister for Foreign Affairs publicly express concern at the upsurge of violence against Christians in India; that he raise the matter with the Indian ambassador to Ireland; and that he raise the issue as a priority for the next session of the EU-India Human Rights dialogue. It recommends that the Oireachtas Joint Committee on Foreign Affairs and Trade, and Defence arrange a meeting to discuss the upsurge of violence; and that it invite the Indian ambassador to Ireland to attend a meeting to respond to the serious situation outlined in the report. 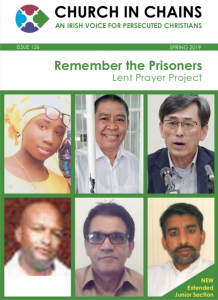 Among the cases documented is that of Pastor Khel Prasad Kurre (pictured on the report cover) who was attacked by Hindu extremists in Chhattisgarh state in October 2017 while on his way home from visiting a member of his church. He was hospitalised and needed twelve stitches to his head. Police threatened Pastor Kurre with arrest on charges of luring people into Christianity. Another pastor, Harjot Singh Sethi (pictured), suffered head and leg injuries after a beating from Hindu extremists in Rajasthan in August 2017. About fifty extremists attacked a group of 150 Christians holding a prayer meeting in one of their homes and injured several of them, including the pastor’s wife, whom they beat with sticks. 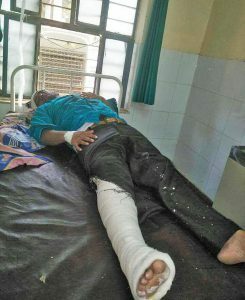 Though Pastor Sethi was badly injured, he was taken to a police station where the attackers filed a complaint against him for “forceful conversion”. 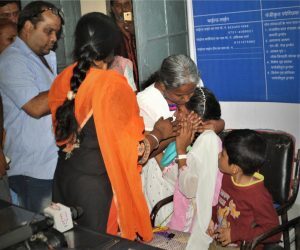 Another of the cases documented occurred in Madhya Pradesh in October, when seven children were detained for a week and two adults for ten days – police charged the adults with kidnapping and forcible conversion. The Christians had been on their way to a youth Bible conference, with parental permission for the children, when a mob of Hindu extremists forced them off the train at Indore station. 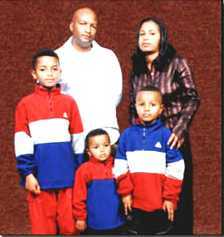 The extremists beat parents who tried to regain custody of their children. Parents were not told where their children had been taken and were not allowed to see or speak with them in the week that followed. 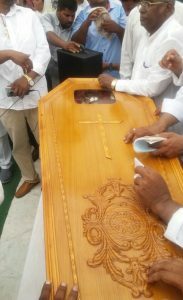 In July, a Punjab pastor was shot dead in front of his church premises in Ludhiana city. Two attackers on a motorbike shot Pastor Sultan Masih – whose coffin is pictured – while he talked on his phone. In the previous couple of months, Hindu extremists had accused him of paying people to convert to Christianity, and had threatened to kill him. After the murder, hundreds of Christians held a protest blocking a major national highway for three hours, only leaving when they received police assurance that the perpetrators would be brought to justice. In the days that followed, police questioned at least 17 suspects.